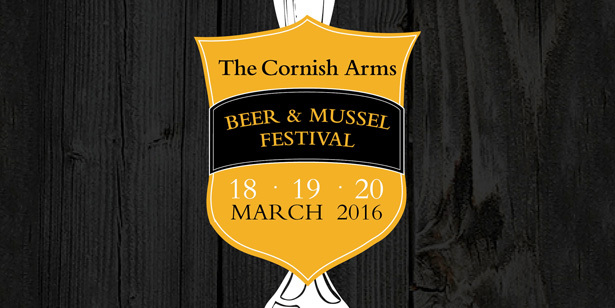 We’ve already started counting down to our annual Beer and Mussel Festival at The Cornish Arms in St. Merryn this March. As well as over 40 different beers and ciders on offer, we have an even bigger line up of live entertainment for you to enjoy over the weekend. We’ll be kicking the festival off on Friday 18th March with a truly Cornish performance from local comedian Kernow King before dancing the night away with Taz DJ. Bacon baps and coffees will be on hand on Saturday morning as well as a book signing from Rick and chef demos from Jack Stein and Stuart Pate. The rugby will be screened all day – kicking off with Wales vs. Italy at 2:30pm taking us right through to England vs. France at 8pm. Stick around afterwards to celebrate (or commiserate) the results with live music from the Motown Pirates. Sunday is another jam packed day with chef demos from Alex Clark and Stephane Delourme, a book signing from Rick and live entertainment from Josh Curnow and the Boscastle Buoys. The weekend will finish with our Big Pub Quiz, where local and visiting teams will battle it out to take first place. As well as local beer, cider and entertainment, we will of course be serving up some of Rick’s favourite mussel recipes including moules mariniére, mussels with beer and bacon, and mussels with black bean, garlic and ginger. We’ve also got a new mussel recipe from Rick’s latest adventure From Venice to Istanbul: Butrint mussels with ouzo and feta cheese. Not a shellfish lover? Don’t worry, we have Goan chicken curry, Goan vegetable curry and hot dogs with Danish pickled cucumber, shallots and mustard as well as chips, sourdough bread from our bakery in Padstow and freshly cooked churros with warm chocolate sauce. For up to date information on the festival, click ‘attending’ on our Facebook event here. Find out how you can win beer tokens here.